WCLL staff and students are always thankful for the new and exciting opportunities created by the school and our community partners. Many local businesses and organizations show their support for WCLL by giving students the chance to pursue their interests and gain valuable, real-world learning experiences outside the classroom. We continue to expand programs and achievement to provide students and families with educational assistance and enrichment. Foley and Lardner, a national general practice law firm, is recognized for delivering client-focused service, the highest-quality legal skills, and exceptional value. 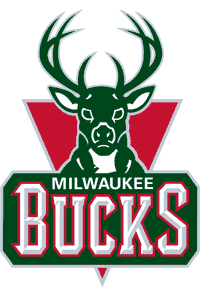 Sam’s Hope Foundation and the Milwaukee Bucks have worked collaboratively to provide books for elementary students in grades 1-3 across the district. WCLL’s high school students facilitate the set-up and distribution of this project three times a year, serving as volunteers in our community. The University of Wisconsin-Milwaukee equips WCLL with many resources. These include the Talent Search/Gear UP Pre-college Program and Student Success Program. WCLL learners gain the skills necessary to pursue a higher education upon high school graduation. UW-Milwaukee also provides WCLL with school social worker practicum students. The University of Wisconsin-Parkside sponsors the Stepping Stones Pre-college Program. This program helps students transition from high school to college through academic skill building, college preparation workshops, career exploration and cultural heritage enrichment. WCLL learners gain the skills necessary to pursue a higher education upon high school graduation. The University of Wisconsin-Madison hosts the People Program (Pre-college Enrichment Opportunity Program for Learning Excellence). This program seeks to increase college enrollment and graduation rates of Wisconsin students of diverse backgrounds. The focus is on promoting students’ pursuits of higher education, particularly at UW-Madison. The University of Wisconsin-Whitewater school psychologist practicum students visit WCLL to complete their fieldwork, building relationships with students and serving as positive role models. Marquette University guidance and counseling practicum students give their time and services to WCLL. This is a fantastic partnership that helps the WCLL community build relationships with college students, who serve as positive role models for students. The latest strategies and theories in school guidance and counseling are brought to our young learners through this partnership. The YWCA organizes the One-on-One reading program for students in grades 5-8. This program promotes literacy and teaches students the value of having a strong education. WCLL understands the importance of reading and this mentoring program provides individual guidance to students to ensure solid literacy skills. The Milwaukee County Court System educates students on the court system with the Courtrooms to Classrooms Program. Judges stay in touch with middle school students throughout the year by meeting in person, via video conference and through an online message site. Each month a new topic is discussed. This collaboration exposes WCLL learners to the Milwaukee justice system and helps build respect and understanding of the legal process. The Counseling Center of MPS runs a Sexual Violence/Assault Prevention Program that educates students on recognizing abuse and staying safe. WCLL students learn valuable life skills that keep our children, families and community safe and healthy. The EAA caters to children in grades 3-4 through the Aviation Pilot Program. The program seeks to develop excitement and interest about flying and some of the skills and interests necessary to pursue a career in this field. Flight simulators allow students to practice flying as they sit in the pilot’s seat.